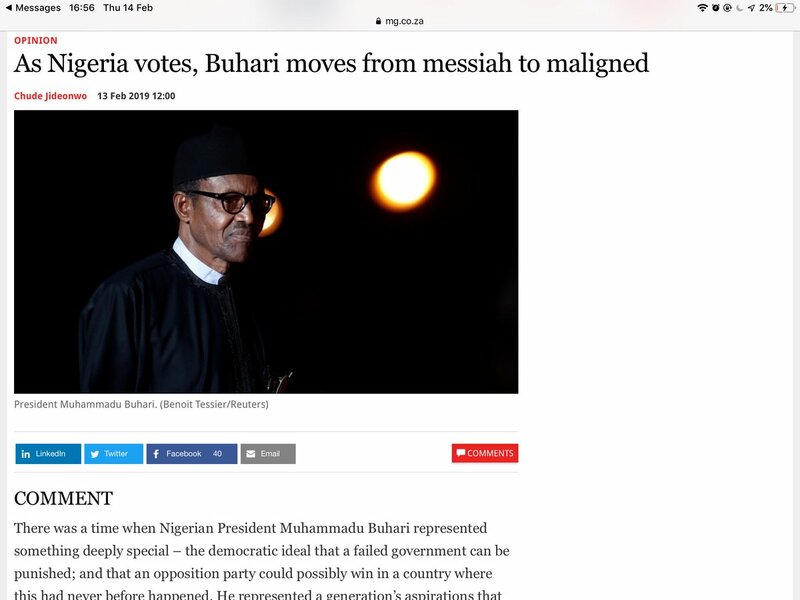 There was a time when Nigerian President Muhammadu Buhari represented something deeply special – the democratic ideal that a failed government can be punished; and that an opposition party could possibly win in a country where this had never before happened. He represented a generation’s aspirations that our voices matter, our decisions count, and together we could direct the destiny of our country. Thread coming up on how to negotiate for payment if you're a young, talented, hardworking person. Note those last four words, plix. Offered one of my mentees a contract job for a client earlier, and I asked her how much she wanted to be paid. And she panicked. You know, two or three years ago, I was returning to Lagos from Prayer City, after the Power Must Change Hands programme. It's one of the only times that I went alone, and I was driving. So there was space in the car. If you know the Prayer City, then you know transportation is inadequate, so people often wait by the gates when service is done.